When the joints begin to stiffen and the belt begins to tighten, memories of running out on the rugby field quickly become a distant memory. While the games might still be a focal point of the week, there is a physical void that seeks to be filled. Despite often being situated at the most far-reaching areas of stadia, the TV gantries and post-match engagements require much less exertion. Physically, anyway. The Wallace household has faced into the chasm more than most. Not that Richard, Paul or David have had any misgivings in having to do so. All three enjoyed successful careers. Richard blazed a trail for the family and was soon joined on the rugby scene by Paul. 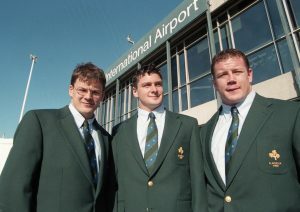 Although he failed to get game time, David managed to tour with Ireland and his elder brothers to South Africa in 1998 before going on to become one of the most decorated players in the country, even with a catalogue of injuries. David’s hand was ultimately forced in 2012 as he sought to make his way back from a devastating knee injury that had ruled him out of the Rugby World Cup in New Zealand. Paul had already jousted with a similar dilemma, hanging up his boots two years after a serious ankle fracture in 2001, while a badly broken leg put paid to Richard’s career. The eldest of the trio would have seen that every cloud has a silver lining though, as his career then took flight with CityJet. While they all resolved to enjoy their respective retirements, an undoubtedly competitive household was always likely to rear its head at some point. However, the injuries accrued throughout their often unremitting and abrasive careers were now dictating to them what they could and couldn’t do. The entire notion of running is turned on its head when it comes to the Wallace family. 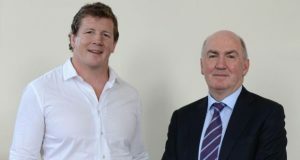 Despite being a winger, Richard has mentioned how he was always beaten to the dinner table by Paul who subsequently lost his speed “because he ate too much!” It seems peculiar that this only began to dawn on the iconic Lions prop once he became the patron for CROSS Charity, which raises money for purchasing essential equipment for cancer research at the TCD Department of Surgery at St. James’ Hospital. “Felipe Contepomi was the patron,” Paul, who is now the Managing Director at Bircroft Ireland explains, “but when he left for Toulon in 2009 they needed someone to step in. I had been at a few of the lunches, so I got to know people Conor Headon and Ronan Murphy who had set up the charity and Professor John Reynolds who plays such an important role in dealing with cancer in Ireland. I couldn’t say no when they asked me to get involved, but for a few years I basically did nothing more than attend a lunch now and then. 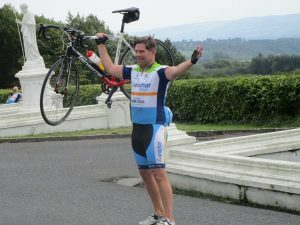 Last weekend, the CROSS Charity Cycle took to the road for the seventh year in succession taking different paths along the way. Naturally, the Wallace brothers were there, as was Mick Galwey, Liam Toland, Niall Woods, Gordon D’Arcy, Paddy Johns and a host of other former Irish rugby greats also pitched in at various stages. Irish Women’s rugby was represented was also represented with Paula Fitzpatrick, Heather O’Brien, Fiona Coghlan and Carol Ann Byrne often leading the pack. 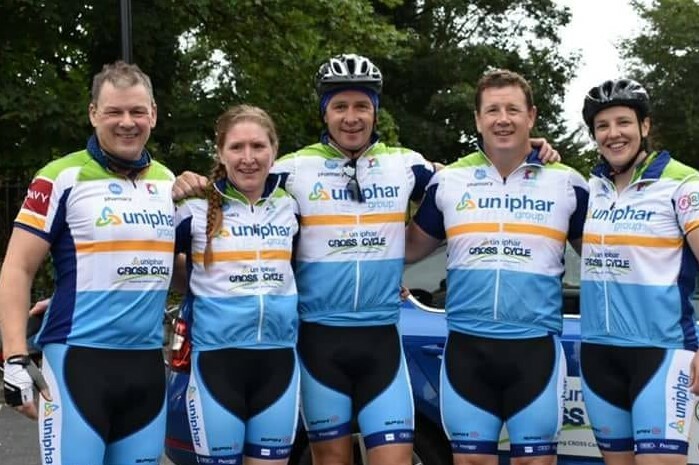 In the past the touring group has also included such international luminaries as David Campese, Zinzan Brooke and Shane Williams but recent years have seen a reorganisation of the cycle so that CROSS Charity sees as much of the funds as possible. “Unfortunately, almost everyone is affected by cancer in some way. It’s impossible these days not to have known someone close who has passed away because of it. The cycle actually proves to be quite a therapeutic process. There are people who have been treated by Professor John Reynolds and want to give back. Others who have lost children or friends to cancer, or just some people who have been affected by the issues it can cause more generally and who find it helpful to chat to people who have had similar experiences. For donations to CROSS Charity, click here.